For the smart living lab, 2017 was certainly the year of international take-off, as well as marking the development of a true network. 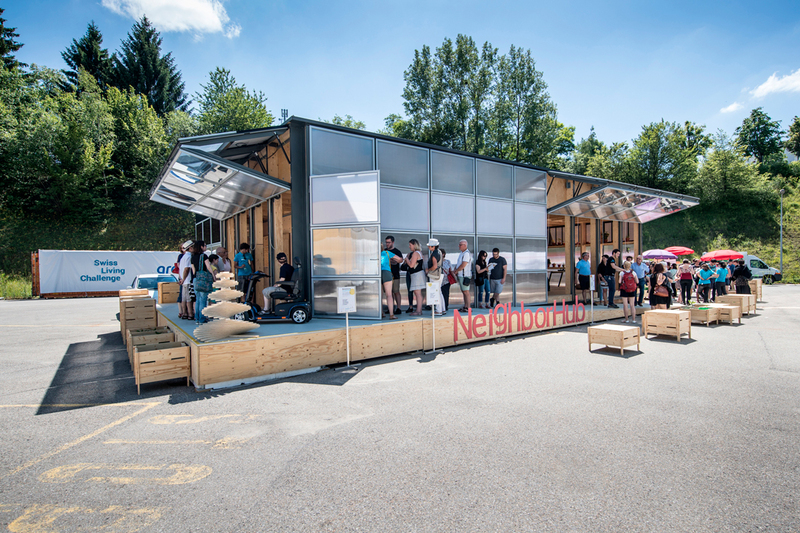 First of all, Swiss participation in the international Solar Decathlon in the United States was a unique opportunity to present the knowledge and know-how of Fribourg’s smart living lab. 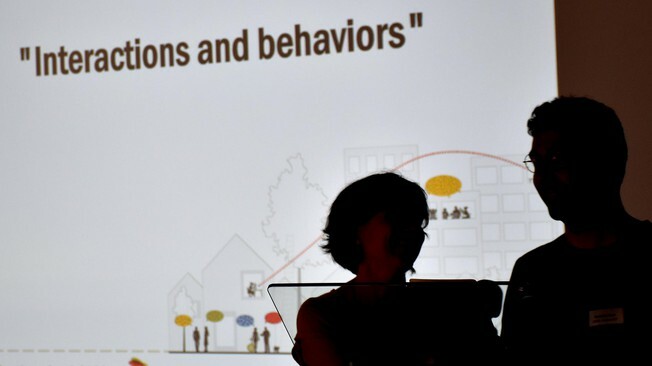 Switzerland’s victory demonstrated the validity of the NeighborHub concept as a model of sustainable housing. The smart living lab was created from scratch in 2014. From there it grew into a consolidated academic alliance between the EPFL, the Fribourg School of Engineering and Architecture (HEIA‐FR) and the University of Fribourg. 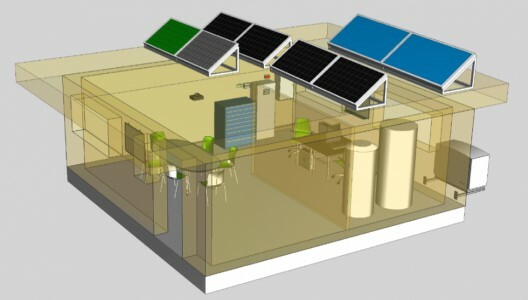 The smart living lab set up an inter-institutional team, built a consortium of more than 40 public and private partners, and developed facilities for students and professors to design, build, unbuild, and ship a solar-powered prototype to the United States. Winning the competition, and in particular the energy, engineering, and architectural contests, was a great reward for all of the people involved in this groundbreaking project. Secondly, 2017 was decisive for promoting the research carried out for the smart living lab’s future building among numerous national and international publications. Thirdly, 2017 provided an opportunity to develop numerous new interdisciplinary and collaborative projects, stimulated by the presence of a growing number of researchers within the smart living lab. The new activity report contains a list of projects, presented according to research domains and groups, as well as details about funding sources and private partnerships. Projects include demonstrators, research and educational projects, and social and behavioral studies, plus the development of new processes and methods. Many of them include collaborations with private partners such as electricity providers, lighting manufacturers, architects, energy and life-cycle analysis experts, start-ups, and general contractors. May the future still hold decisive new partnerships for the smart living lab and its research on the architectural environment of tomorrow! The smart living lab is a research and development center for the built environment of the future, whose aim is to achieve energy efficiency, digital transformation, and the well-being of its users. Here, interdisciplinary research projects are pursued with experiments carried out in real-life conditions. These activities involve researchers, users and companies. The smart living lab brings together the combined expertise of the Swiss Federal Institute of Technology Lausanne (EPFL), the School of Engineering and Architecture of Fribourg (HEIA-FR/HES-SO), and the University of Fribourg (UNIFR) in research areas such as construction technologies, well-being and behaviors, interactions and design processes, and energy systems. The smart living lab has been housed at the blueFACTORY site in Fribourg since the end of 2015. The construction phase for the new smart living lab’s building is slated for 2020. While awaiting the final building, our research teams will maintain their offices in the blueFACTORY’s Blue Hall. The smart living lab will thus bring significant input on the technical, societal, and economic challenges facing the development of the built environment. Building-integrated photovoltaic systems (BIPV) represent a potential high-growth market, with a significant impact for the economy and the Energiewende. A better understanding of technology acceptance and of the needs of the market is required in order to design optimized solutions and to ensure efficient knowledge and technology transfer. 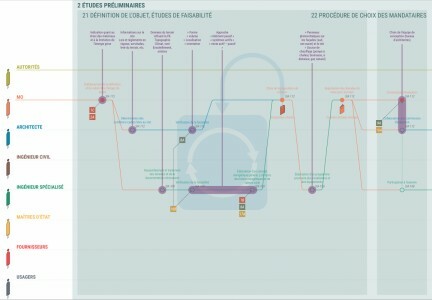 A value proposition breakdown along the value chain is essential to guarantee benefits for each actor involved. 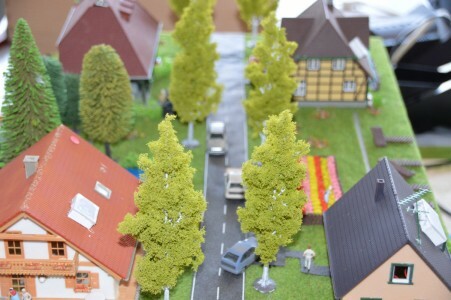 The research will focus on the systems studied and developed in the joint project, in the context of urban renewal in general and as applied to the City of Neuchâtel. Once realistic and promising value propositions are assessed for the key market segments and technologies, the project will focus on the design and implementation of communication and knowledge transfer tools. Identification and investigation of legal issues raised through the application of the Building Information Modeling (BIM) methodology in the construction sector, in particular in contractual, procurement, and public construction law. Design of a load-bearing system for office buildings, constrained for extreme versatility and reuse. 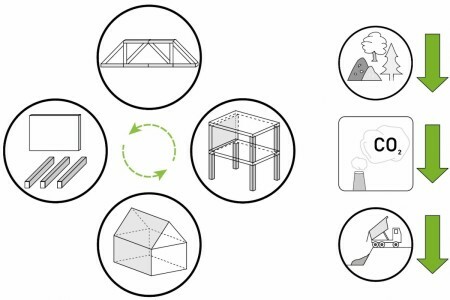 The aim of the CIMI project is to generate recommendations for the systematic design of construction elements, taking into account multiple requirements (such as static, building physics, energy production and storage, technical installations, economic and environmental factors, and architecture) for construction designs developed using innovative new materials as well as utilizing existing construction elements for new applications. The objective is to produce buildings that respect economic criteria as well as environmental concerns. Road traffic has a considerable impact on the comfort and quality of life in our neighborhoods and cities, notably on air quality and noise pollution. The recent evolutions in sensors, communication networks and Big Data analytics open up new perspectives in the measurement and analysis of those impacts. 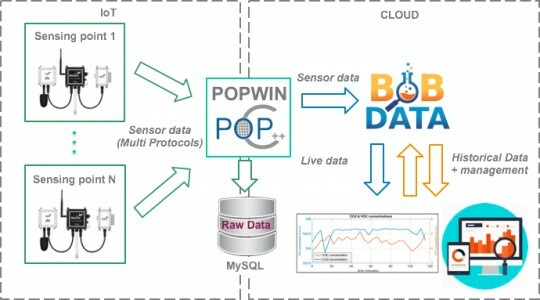 The CityPulse project seeks to offer live, localized and continuous measurements of the city through the installation of a network of Internet of Things (IoT) sensors. FAR has been working on a study that seeks to verify/demonstrate the potential of local industry in Sri Lanka to support and/or accept transformations in the way concrete-based social housing is conceived of and procured. This by: 1) identifying economic and social elements that are lying dormant within existing cycles of housing development; 2) checking the ability of alternative and geographically available building fabrication systems to become part of the low-income housing supply chain; 3) considering the possibility of integrating unconventional practices, crafts and materials into such systems; 4) defining how the design and planning process could be modified so as to facilitate the implementation of the framework. Identification of socioeconomic motivations and regulatory measures, as well as specific and sustainable funding policies supporting the Crowd Energy concept and, along with this, the energy turnaround. 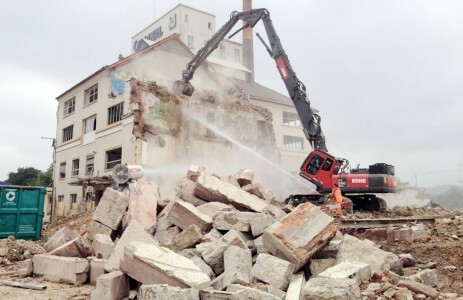 The need to formulate proactive land policies to improve Fribourg's economic appeal is undermined by the lack of concrete tools for facilitating this. The "Urban development: key condition for economic development" (DevEco) project aims to overcome this shortcoming by establishing a framework for urban development that will galvanize economic growth in and around Fribourg. 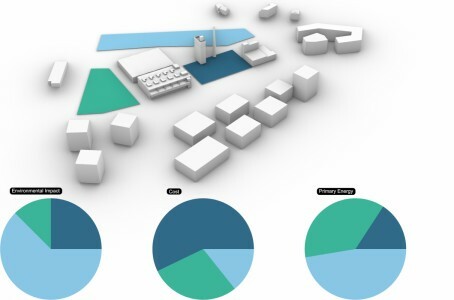 The goal of the MUBI project is to propose a mobile interface to interact with a building database, allowing for the browsing of real-time environmental and energy data gathered by the building sensors relative to the space occupied by the user. Taking advantage of the mobile platform, it will also augment sensor data by gathering user comfort perception data, in order to analyze correlations between both datastreams. In this project, focus is placed on the development of a mobile tool with large diffusion potential in order to allow for its adaptation to different building contexts. The construction industry is a principal consumer of raw materials and one of the biggest producers of greenhouse gases and waste. The reuse of carrier system elements in new building projects remains an underutilized strategy for reducing the construction sector's environmental footprint. 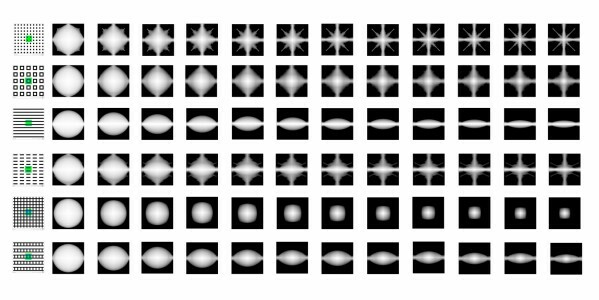 This research project develops algorithms to identify structural system geometries that make optimum use of existing component inventories. Full-scale prototypes are developed to demonstrate feasibility at the level of design detail. Finally, the environmental benefits of reuse are assessed using a life-cycle analysis. Triple E: Energy, economic, and environmental optimization of production and of a building's electrical and thermal energy storage and consumption through the integration of user behavior and mobility. The overall goal of this project is to optimize the links between production systems (for renewable energy) and the building's energy consumption (including for mobility by automobile, electric bike, etc.). 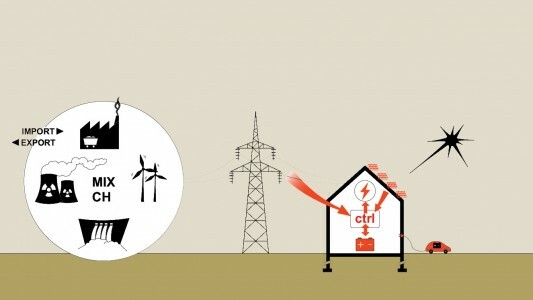 The use of intelligent control and of an electrical and/or thermal energy storage system should reduce CO2 emissions and reliance on the power grid, while increasing the building's energy efficiency. The three criteria of energy, environment and economics will determine the strategy adopted by the control algorithm. The research objective is to provide a compass guide through the myriad organizational forms of the global "Energiewende". Air-Sûr - Development and testing of an open-source prototype for monitoring internal air quality in spaces used by children. 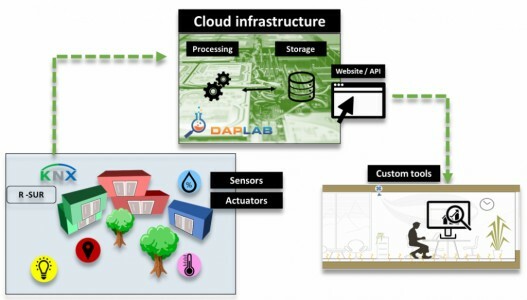 The aim of the Air-Sûr project is to develop an installation that continuously monitors the health conditions of an indoor environment based on measurements of a set of chemical, physical, and even biological parameters. Whatever the complexity of this set of parameters, the installation needs to satisfy several criteria: flexibility, modularity, scalability, accurate measurement, and cost optimization. It can be mobile and diagnostics based, or it can be fixed and integrated in a given space for the purpose of conducting long-term health monitoring. It could also potentially be used as part of a technical management system for the building. Moreover, it is a scalable system, which will be capable of integrating new sensors in the course of future development in different labs. Our overall goal is to develop an installation that is robust but affordable in terms of material, operating, handling, and maintenance costs. This project explores the relationship between architectural quality and the building implementation process. It defines the process for implementing the smart living building as a learning process, creating a common culture between the main stakeholders (decision makers, designers, users and builders). 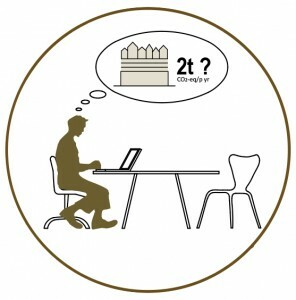 This process is outlined by:- an iterative and incremental brief, gradually introducing the criteria of architectural qualities and environmental performance and allowing users to specify their needs;- collaborative conception phases (test studies and preliminary design) between several studios, organized in thematic sequences that allow a continuous evaluation of design proposals. 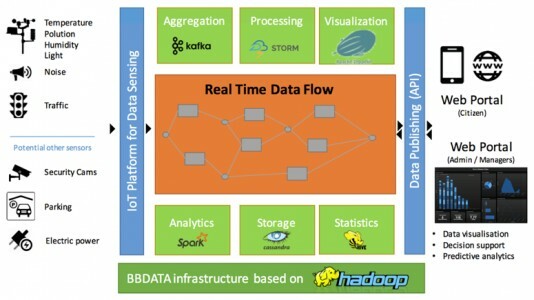 BB Data Demo aims to demonstrate the functionality and benefit of an Internet-based big-data platform, allowing researchers and building professionals to collect, store, process, and visualize data. This platform is designed to guarantee reliability (robustness and safety), adaptability and scalability. It is particularly suitable for monitoring buildings after commissioning (post-occupancy evaluation - POE). 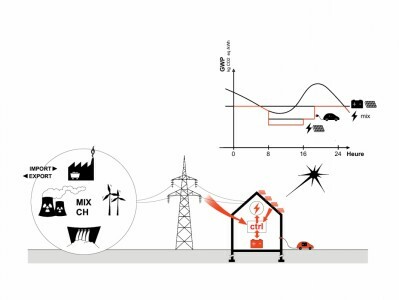 How prosumer behaviors influence the stability of an electricity network? This project focuses on passive systems to increase comfort, experimenting with different thermal inertia, lighting and ventilation scenarios. For instance, it allows for a better evaluation of bioclimatic strategies, such as using rammed earth to increase the building's thermal inertia. 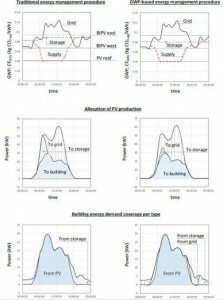 The outcome sought through this experiment is to optimize the correlation between renewable energy availability and the building's energy demand. Because renewable energy is not constant, a methodology is necessary to balance the carbon footprint on an annual basis with hourly time accuracy. 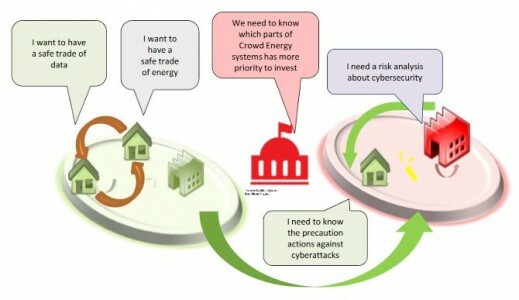 Crowd Energy information security culture - security guidelines for smart environments. Human-IST has developed an interactive device that measures environmental conditions, communicates objective comfort measurements with users, and receives feedback from them. Learning from user feedback helps to tune prospective behavior. ComfortBox is equipped with ten indoor environmental sensors that together can create an insight into indoor thermal, visual, and acoustic comfort, while also evaluating air quality. 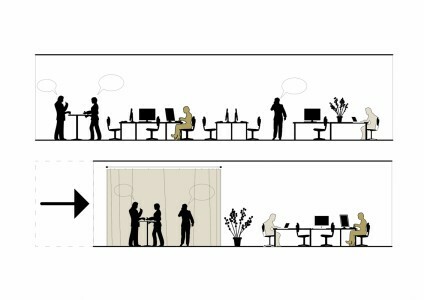 ComfortBox is intended to create a dialogue channel between human and building, and it can also evaluate indoor conditions in relation to the productivity and health of the occupants, especially over the long-term. A seminar organized with internationally recognized lecturers in the field of human interactive experience in built environments. Identification of requirements concerning the Digital Infrastructure and Building Information Modeling (BIM) for the smart living lab's future building. Analysis of existing methods to deal with disputes and conflicts in the construction sector. The goal of the project consists of prototyping an interactive software solution targeted towards building designers and building managers that would allow them to rapidly and dynamically assess and visualize GHG emissions during the operation phase of a given building. 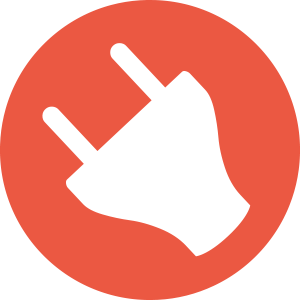 The Journal of Electronic Science and Technology (JEST) is soliciting original manuscripts for its Special Section on Energy-Efficient Technologies (EET) — Crowd Energy Applications (CEA), which appears on JEST periodically. This Special Section on EET intends to bring together state-of-art research results and industrial applications of energy-efficient technologies. Professor Teufel presides over this issue's Special Section, while the Guest Editor and the JEST team focus on Crowd Energy Applications. In order to embrace the carbon and energy parameters from the early stages of a project, the research group has developed a prototype for a life-cycle assessment (LCA) method to highlight technical and architectural solutions for abiding by low-carbon and low-energy constraints. A system analysis of already existing prosumer?based organizational forms and an investigation of interest in becoming involved in prosumer?based organizational forms. 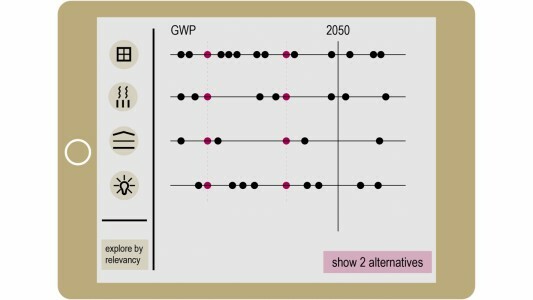 The energy refurbishment of multi-dwelling buildings is a key issue of the Swiss Government's 2050 energy strategy. eREN focuses on building envelopes in western Switzerland, and is proposing a global approach of well-balanced solutions between energy efficiency, constructive feasibility, building physics, costs, and preservation of the architectural heritage. eREN2, in line with the eREN project, analyzes possible synergies between energy-efficient renovation and densification on the basis of a representative selection of existing multi-dwelling buildings in western Switzerland. The main purpose of this project is to investigate and optimize second-life scenarios of aged batteries with reduced performances compared with new ones in order to minimize the overall economic and environmental impact of the smart building. A workshop organized at the DIS (Designing Interactive Systems) conference in Hong Kong with architects, designers, and computer scientists so as to envisage the interactive aspects of future smart buildings and cities. A workshop drawing experts from the fields of architecture, human–computer interaction (HCI), and psychology to discuss the vision of future living. 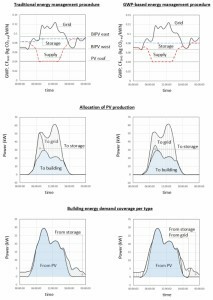 Study of the integration of active solar components (thermal and photovoltaics) in a portfolio of existing buildings previously studied from an energy efficiency perspective. 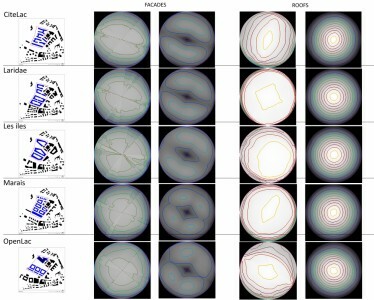 Indicators of daylight and sunlight access in urban areas. Master's thesis of Nico Faerber, aimed at increasing the accuracy of indoor localization using Bluetooth Beacon technology. 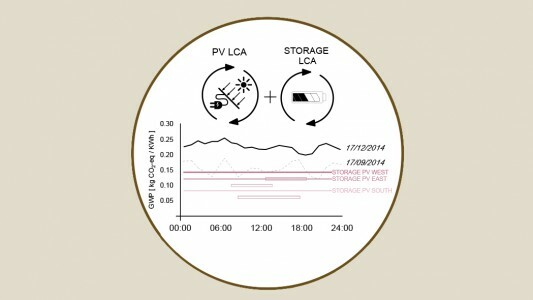 The goal of this project is to develop a demonstrator for testing the viability of new energy management systems. The physical infrastructure consists of a detached office unit, fully equipped with a heat pump, solar thermal and photovoltaic panels, and thermal and electrochemical storage. 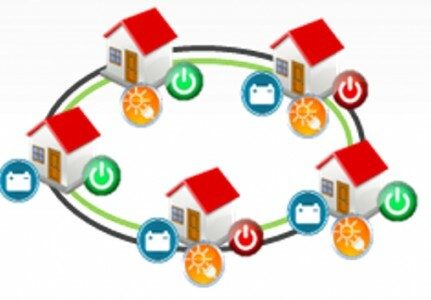 The testing of new energy management procedures developed in the framework of the smart living lab would then be possible in real conditions. The goal of the proposed research is to establish the first cornerstone of a methodology and to develop a test and demonstration platform at the smart living lab to measure and assess the benefits of using innovative luminaires from both technical and user perspectives. Insolight has developed a smart LED panel with the ability to dynamically change its light beam output (in both direction and intensity). The panel takes the form of a smart luminaire for multi-functional spaces, adapting the light beam according to the user's task. This project proposal aims to install, benchmark and test the second-generation prototype with users of the "Halle Bleue". Ultimately, this project will demonstrate and potentially validate the interest in using such a luminaire in an office environment. 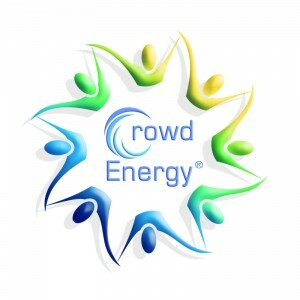 This project seeks to develop an interactive simulation of a Crowd Energy system, acting as a test bed for static and dynamic experiments on the sharing behavior of energy prosumers within the crowd. The experiments will focus on i) investment decisions and ii) the trading of energy/electricity among the crowd. Survey of chosen construction details according to their ability to be disassembled without destruction. 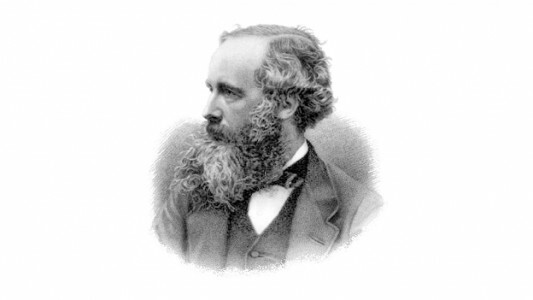 Translation in modern terms of James Clerk Maxwell's seminal paper on "Reciprocal Diagrams", 1872. 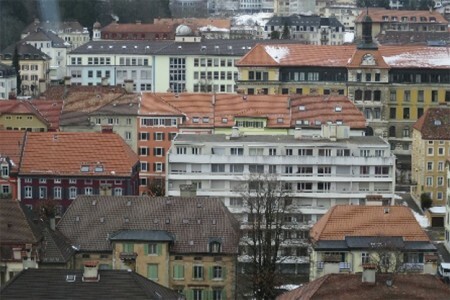 The history of watchmaking in the Jura Valley has produced a unique kind of industrial urbanism where urban design and building type have evolved almost together, to define spaces of production that were not only functional to their remit but also expandable within the city and across the land. Thus, the socio-technical history of watchmaking buildings constitutes a fertile area of investigation. 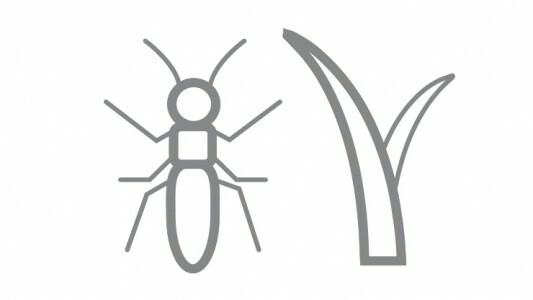 FAR is working on a systematic technological review of approximately 200 factory buildings with specific typological traits across the valley, aiming at determining the degree of production-induced innovation in the building systems they used, both within the territory and as a theoretical step in the creation of industrial comparative advantage. The goal of the Interreg France-Suisse Jurad-Bat project is to develop a trans-border platform to promote the pooling and sharing of experience and competencies, as well as training professionals in the area of radon risk management, which particularly affects the trans-border region of the Jurassic Arc. 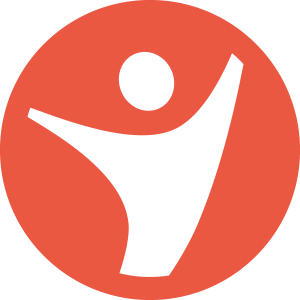 The platform will serve as a decision-making tool. Analysis of public procurement and contract law implications of time delays occurring during a public tender procedure. Attempt to propose solutions which are workable in practice while simultaneously respecting legal principles such as non-discrimination and freedom of contract. 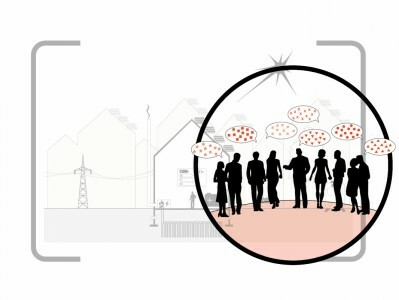 Living lab studies have been proliferating within the human-computer interaction (HCI) research community, providing a test bed for context-aware automation and new styles of interactivity. In this project, we look at living labs as a developing research methodology situated between controlled experiments and field studies, and we discuss the theoretical groundings particularly for the domain of HCI. 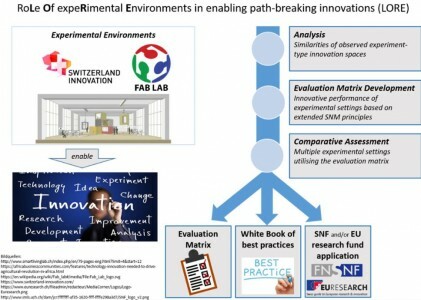 The aim of this project is to develop an evaluation approach for innovation processes in experimental environments centered on learning, knowledge sharing and innovation empowerment, drawing on previous research on the role of experimental spaces as well as on empirical research. This project aims to generate average reference data on energy consumption and greenhouse gas emissions for a multi-family apartment building and a detached house in different Swiss urban contexts. The method adopted involves the analysis and comparison of several variants of these two types of residential buildings in order to assess their environmental impacts throughout the life cycle, including the induced mobility. The creation of sustainable neighborhoods often comes up against reduced acceptance of densification by the public. The MODD project seeks to develop a business process as well as tools and methods to design and evaluate such neighborhoods while considering social criteria. The main objective of this project is to develop a tool to easily design, model, and optimize thermal storage for SMEs. 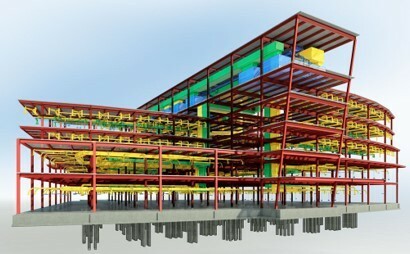 The Internet of Things (IoT) and Building Information Modeling (BIM) are examples of disruptive innovations that are changing the way we think about construction processes. 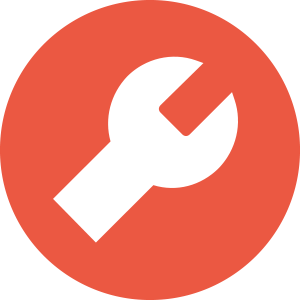 They bring new opportunities to integrate and connect up a building's technical installations. The project makes use, in particular, of the Unity3D platform, openBIM tools, and the MQTT protocol. 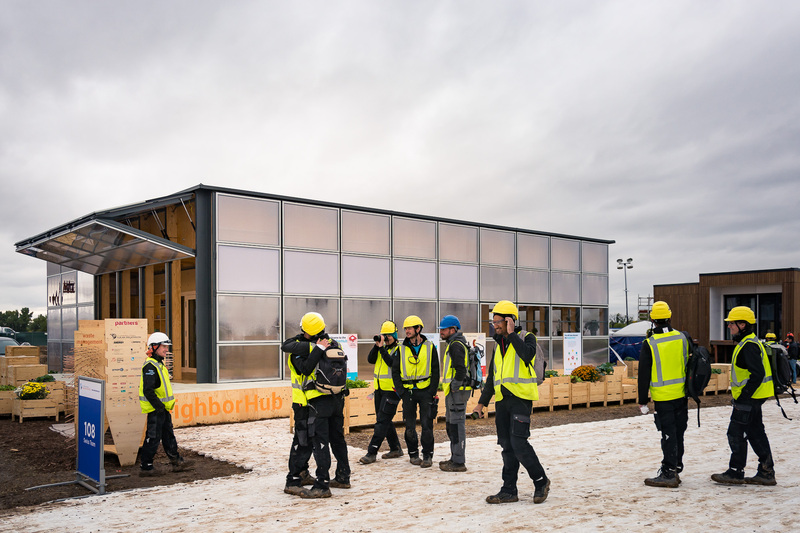 The NeighborHub, which came top in the Solar Decathlon 2017, has been reassembled at the blueFACTORY. It has an entirely modular software architecture, and was designed in accordance with the IoT paradigm. 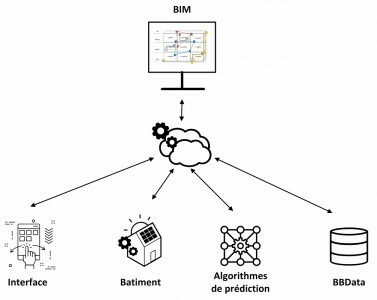 Current research seeks to demonstrate the opportunities and relevance of a convergence between IoT and BIM, and should greatly simplify the design and configuration of technical management systems for buildings, as well as generating human-building interfaces. 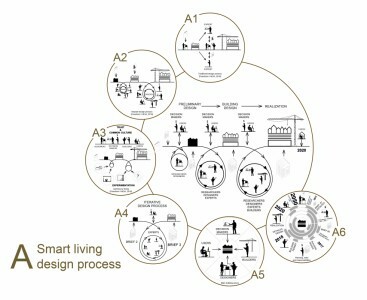 The project idea here is to review the innovative performance of the smart living lab by conceptualizing it as a innovation niche / experimental space in the understanding of Strategic Niche Management (SNM) and Constructive Technology Assessment (CTA). The applied research project PerEn seeks to develop a tool to reduce the observed discrepancy between the calculated energy efficiency of a building during the design phase and the actual energy efficiency measured during its exploitation. Capitalizing on the advancement in environmental and physiological sensing, this projects aims to predict the working conditions that may harm knowledge workers' productivity and well-being. The findings are communicated in a way that leads to user actions while not disturbing workflow. The field of humanitarian shelter is fertile ground for innovation. New and innovative emergency shelter solutions are regularly produced yet the impact of these efforts on the challenge of housing populations displaced by disaster and conflict is minimal – rigid frame tents, prefabricated containers, and ad-hoc structures remain the norm. FAR's research into emergency shelter addresses the issues that hinder effective innovation. Rather than producing the next shelter design, FAR's work contributes to the development of a framework within which the value of new design solutions can be assessed, thereby supporting more effective innovation in the field. 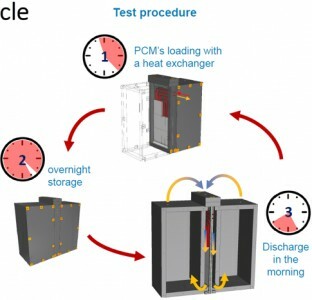 Exploring solutions to integrate phase-change materials (PCM) into an active (dynamic) climate control strategy. 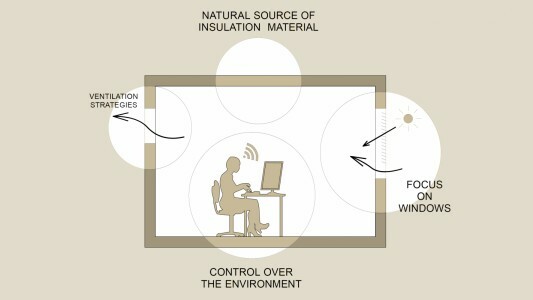 The goal of the proposed research is to establish a cornerstone of "eye-sight external Venetian blinds" technology and to develop a test and demonstration platform at the smart living lab to measure the accuracy and evaluate the performance of a set of innovative external Venetian blinds with their automation system based on real-time sky monitoring and computing from the perspective of daylight regulation and glare protection. 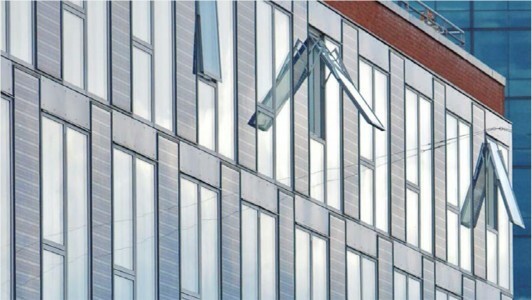 The Solar Energy and Building Physics Laboratory (LESO-PB) in EPFL has developed a new automated external Venetian blinds control system with a sensing device targeted at the sky, which can dynamically change the shading positions according to the conditions of the sky. This advanced control system is predicted to regulate the daylight more precisely by employing a high-precision motor, thus enhancing users' visual comfort by reducing glare. This project aims to set a benchmark by testing this eye-sight external Venetian blinds prototype in the complex setting of the smart living lab. Ultimately, this project will demonstrate its benefits, reliability and precision in daylight regulation and glare protection. The objective of this project is to implement a double approach of social design for the implementation of the future building in Fribourg:• a top-down approach with members of the smart living lab's Management Committee• a bottom-up approach with employees from the three institutions involved in the smart living lab (EPFL, HEIA-FR, UNIFR)• a synthesis of these two approaches to define a coherent social project bridging user expectations and the political vision. 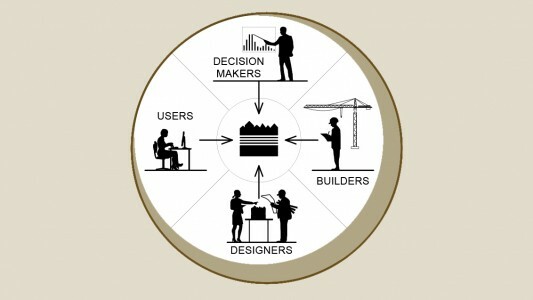 This project aims at developing a prototype tool to support decision-making during the urban planning and design process, by providing the means to decompose a site-level performance objective into context-specific sublevel (e.g., building-scale) targets, and anticipate the environmental impact of decisions to be made later on in the project's development process. In this project, spaces of artistic creation are studied in terms of their affordances for crafting, prototyping, and demonstrating ideas. The study also includes social factors such as how space is shared among a group of artists and how it is used for exchanging ideas. The term innovation describes a process of "marginal substitution', whereby a specific task with defined objectives is carried out in a way that uses either a differently structured or a new combination of components, or alters tested procedures. 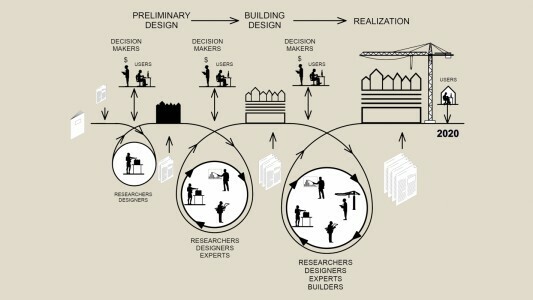 Since the building industry does not provide the same level of means, motives and opportunities for beneficial technical change evenly across its sectors, we could exploit our ability to understand what makes a context conducive to particular strands of innovation, and assign products in that context explicit "industrial development' responsibilities. FAR's research into technical change investigates how building products developed in suitable sectors could be targeted to act indirectly as Trojan horses for horizontal product innovation in other sectors. Collecting data from the physical work environments of 370 Mechanical Turk workers, we aim to derive correlations between their routines for space use and productivity in a very specific work process with inherently nomadic (space-independent) attributes. THE4BEES focuses on the behavioral changes of users in public buildings where there is a requirement to reduce energy consumption. Such changes will be originated by the use of innovative ICT applications developed by a transnational ecosystem. These applications will be used by the target groups in the demonstration sites (schools, houses, and factories) to encourage behavioral changes for energy efficiency and carbon footprint reduction. Reduction of the ecological footprint: Legal challenges of tiny houses and the mobility of single-person households. Design and structural assessment of traditional interlocking timber joinery. Special issue on Human-Building Interaction in the most prestigious journal of human-computer interaction. The papers will be published by the beginning of 2019. This project has shown that urban biodiversity goes hand in hand with the diversity of human habitats. 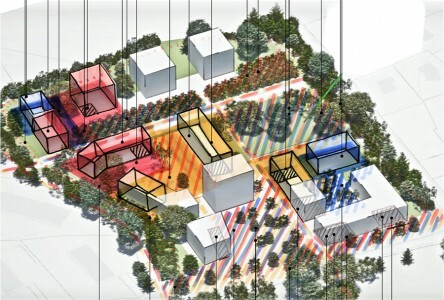 It has led to the development of an innovative tool to aid the design of projects that combine densification in peripheral urban zones with improvements in biodiversity. The tool contains a typology of forms of human-nature cohabitation, as well as a presentation of the interdisciplinary design process. Project goals:- Definition of a strategy for the user environment based on user behavior as well as on the identification of indoor components/furniture according to their performance and impact on user comfort.- Prototyping and experimental campaign research in the Blue Hall on user feedback.- Designing and conducting a user study to understand occupants' mobility and space usage behavior.- Defining policies for the re-design of office spaces within the Blue Hall based on the human-centered design paradigm. The main objective of the Vision project is a publication presenting a series of visions for buildings in 2050, based on a dozen interviews with personalities who are widely recognized in their fields and who are likely to influence the evolution of the built environment. 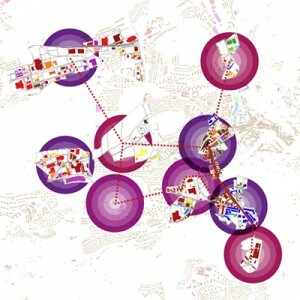 Using real building management system data, the aim of this master project is to infer the presence and behavior of users through visual analytics techniques. Design and construction of an elastic gridshell from reclaimed material. This project designs and builds an 11.6m² elastic gridshell from 200 reclaimed skis. Introduced as a proof of concept, this pavilion demonstrates that re-use also concerns structural engineering and is not limited to non-load-bearing systems. The pavilion was presented at the first Architecture Biennale in Lyon in 2017. As a first flagship project, the smart living lab decided to participate in the US Solar Decathlon 2017 competition. EPFL, HEIA-FR and UNIFR joint their skills together with the HEAD of Geneva to create the Swiss team. 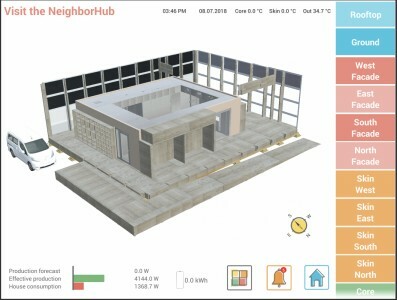 With its solar house, the NeighborHub, the Swiss team won the prestigious competition in the United States. The adventure encompasses - 4 schools, 250 students (44 in Denver), 150 supervisors from the professional and academic sectors, and close to 50 sponsors - and culminated with the highest award. This unique experience is not only an important victory, but also an unforgettable and educational human adventure that brought Fribourg to the forefront of the international academic landscape. Through the smart living lab, the three institutions will pursue a common goal: to provide a unique platform for research and innovation on the most topical and exciting questions pertaining to the future of the built environment. They have a bold strategy to make this a tangible reality: to design and construct a versatile building to be used by researchers from many different disciplines. The new building will embody this future and that will serve as a test bed for exploring ways to go one step further. This building will be the future home of the smart living lab and will become a suitable site for work carried out under real conditions. A specific research program was designed to meet the ambitious goals set between 2014 and 2016. This program was based on the assumption that, at the time of its construction in 2020, the building must meet the 2050 objectives fixed by the 2000-Watt Society. These objectives, linked to the building’s environmental impact, must be met 30 years ahead of time, without diminishing either user comfort or architectural quality. 2017 has mainly been devoted to promoting the program through several presentations at various international conferences and publications in the scientific field, thus enhancing the project’s worldwide reputation. Two books are being prepared and will be published early in 2019 by Parkbooks. Moreover, the conclusions and tools developed in these books have been integrated into the building’s program. This will help launch the Mandat d’Etudes Parallèles (MEP) in order to design the building. From an operational point of view, 2017 saw the emergence of the building construction process through three different phases (the MEP, implementation study, and construction), as discussed with blueFACTORY Fribourg Freiburg SA and the Canton of Fribourg. The researchers’ requirements for the program were specified (i.e. 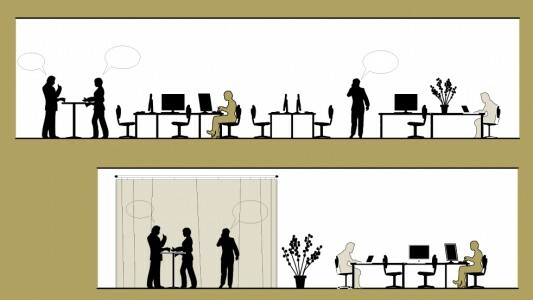 office space, labs, meeting rooms). It was decided that the floor surface of the building should be increased from 4,000 m2 to 5,000 m2 in order to accommodate 130 work stations instead of 90. The operating and experimental development costs have also been clarified, by means of a new agreement between the Canton of Fribourg and the EPFL regarding these costs. In terms of city planning, the building’s location was revised, taking into account the new land use plan (plan d’affectation cantonal). An urban study has been carried out in order to define the maximum allowable building area. In 2017, the smart living lab launched an initiative to support collaborative projects within its research groups in order to promote collaboration with the private sector. 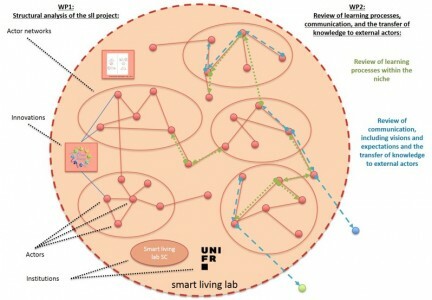 In order to be granted funding, the projects that are submitted needed to meet the following criteria: to address one of the research fields of the smart living lab, to involve at least two research groups from two different institutions among EPFL/HEIA-FR/UNIFR, and to involve a private partner. 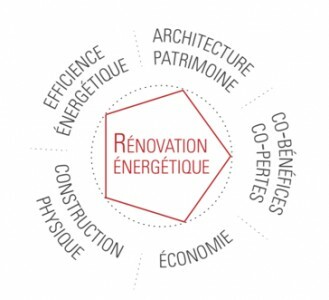 Following an open call, nine projects were selected in 2017, addressing either big data management (BBDATA DEMO), life cycle analysis (low-carbon housing) and the construction process (Build-Unbuild-Repeat), energy, economic and ecological balance (InnovEM, ECABO tool) or comfort controls (Insolight, smart shading control, MUBI Mobile user-building interface), or the innovation process (niche analysis and actor network mapping of the smart living lab). This support has continued in 2018. 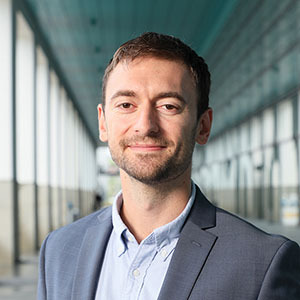 Dusan Licina was appointed Tenure Track Assistant Professor of Indoor Environmental Quality at EPFL. Dusan Licina is a very promising young researcher who has already gained an outstanding international reputation. His research is centered on sustainable and healthy built environment, with emphasis on the following themes: air quality in buildings, ventilation systems, room air distribution, human exposure to airborne pollutants, the dynamics and fate of pollutants in buildings, thermal comfort, and energy efficiency. He completed a joint Doctorate degree at the National University of Singapore and the Technical University of Denmark. Before that, he completed his MSc and BSc degrees in mechanical engineering at the University of Belgrade. 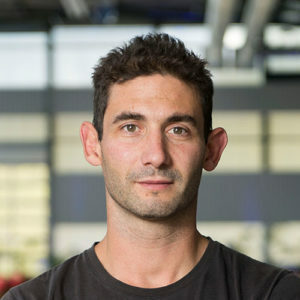 Recently, he was a postdoc at the University of California Berkeley, and then moved to New York to work on the development of the first rating system that focuses exclusively on the impacts of buildings on human health and wellness. 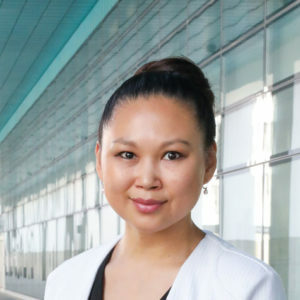 Dolaana Khovalyg was appointed Tenure Track Assistant Professor of Thermal Engineering for the Built Environment at EPFL. Dolaana Khovalyg’s research focuses on the development of energy-efficient heating, ventilation, and air-conditioning systems for buildings, the advancement of personalized control of the indoor environment, and the improvement of occupant comfort. Dolaana Khovalyg graduated with the highest distinction from the Moscow Power Engineering Institute (MPEI), undertook a PhD in Mechanical Engineering at the University of Illinois at Urbana-Champaign (UIUC), and was then a post-doctoral fellow at the Denmark Technical University (DTU) in Copenhagen. Marc Vonlanthen is a Professor at the School of Engineering and Architecture of Fribourg. He teaches physics and mathematics and is a member of the ENERGY Institute. Marc Vonlanthen studied physics and mathematics at the University of Fribourg. He then obtained his PhD in theoretical physics at the University of Geneva. After that, he joined a small firm in Bern called Meteotest. Meteotest is active in the fields of weather forecasting, climate, environment and informatics. 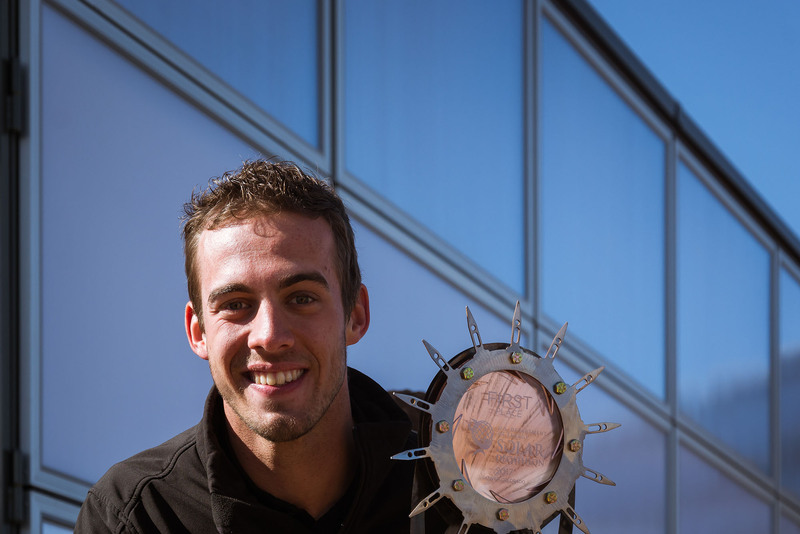 Marc remained there for two years, leading wind energy and data analysis projects. Today, his research interests focus on energy transition and climate warming consequences and adaptation. 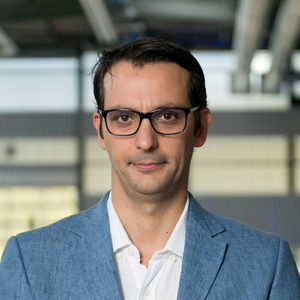 Dimitri Torregrossa has been a Senior Scientist at the ENERGY Institute of the School of Engineering and Architecture of Fribourg. 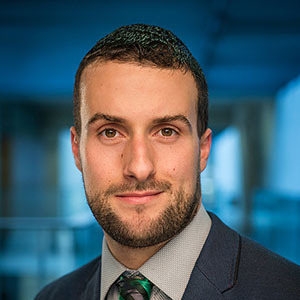 Dimitri Torregrossa obtained a PhD in electrical engineering in 2010 and a post-doc during 2012-2016 on the ageing of electrochemical storage devices at EPFL. Passionate about renewable energy and energy storage, in 2017 he joined the ENERGY Institute and focused his research activities on second-life battery storage. 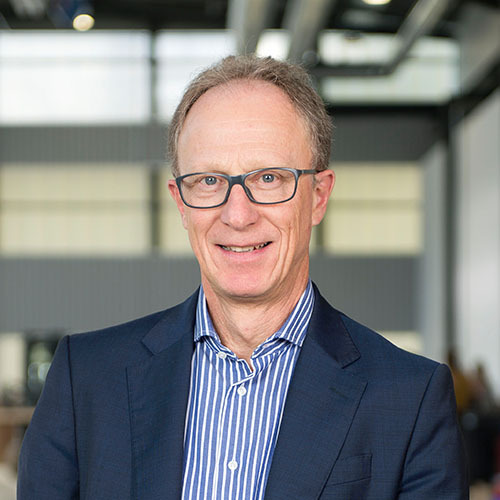 Over the past seven years, he has worked and collaborated with several industrial partners, such as Leclanché SA, Arts Energy, Nesscap, Maxwell, Romande Energie, and Services Industriels de Lausanne. Anton Sentic is a Senior Researcher at the international institute of management in technology (iimt) of the University of Fribourg. Anton Sentic is an early-stage researcher who has made his first post-PhD stop in Fribourg after studying at the University of Graz, Austria, where he focused on environmental management systems and repair and re-use in the context of waste management. He also attended the University of Greenwich in London, UK, where he undertook his PhD project, executing a transition studies analysis of combined heat and power technologies in the UK, focusing on internal structural and functional factors and external barriers influencing the development and dissemination of the technology. 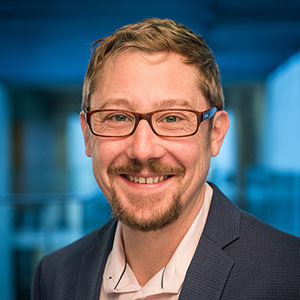 At the smart living lab, Anton’s research interests are twofold: a focus on the transition of energy systems towards more decentralized models and the development of innovative business models is complemented by his interest in the role of experimental innovation environments, such as a living lab, in broader transformative processes in socio-technical systems. Christian Ritzel has been a Senior Researcher at the international institute of management in technology (iimt) of the University of Fribourg. In 2009, Christian Ritzel secured his diploma in economics at the University of Kassel. Afterwards, he successfully completed a Master’s degree in Sustainable Economics and Management at the University of Kassel in 2013. He then conducted a doctoral thesis on “Agro-food trade with developing countries” at the Swiss Federal Research Institute Agroscope in Taenikon, in cooperation with the University of Hohenheim in Stuttgart. His intrinsic interest in the topic of sustainable development provided the motivation for his application to the iimt and the smart living lab project. A Joint Steering Committee handles strategic management of the smart living lab on behalf of all partner institutions and an Operational Committee is in charge of implementation. The Scientific Commission defines the academic plan. 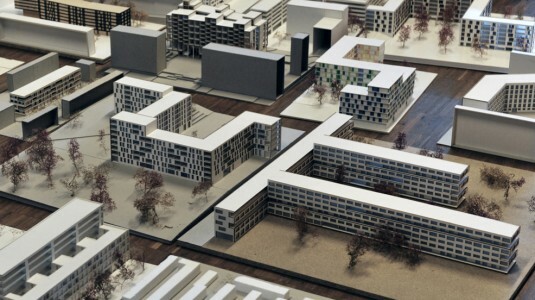 The Building 2050 group was responsible for the development of the research program that has resulted in a call for project proposals for the smart living lab’s future building, and will now support its implementation into the operational phase, which is being led by a team of senior architects. 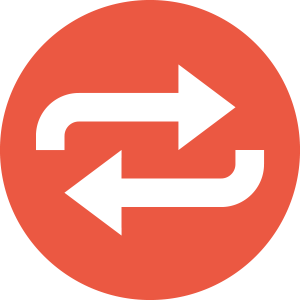 A further team is responsible for finding tangible uses for research findings. 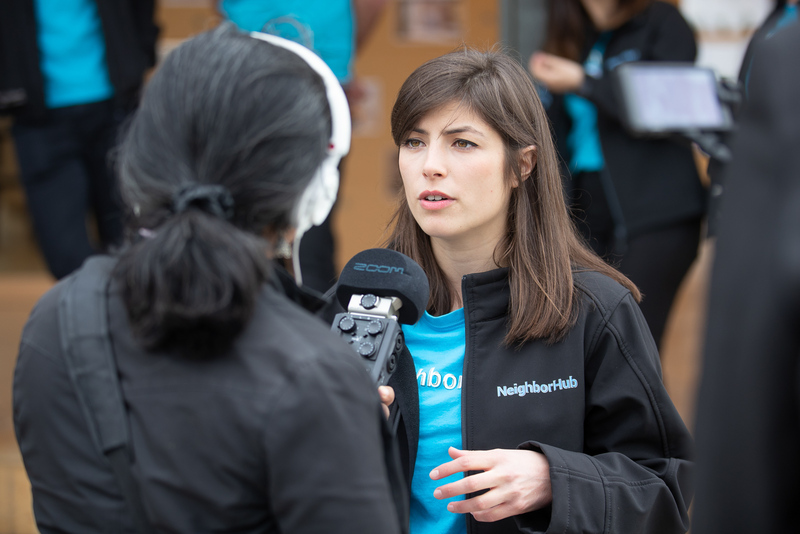 More about the NeighborHub’s media coverage. Comprised of over 300 labs and research groups on its campus, the Swiss Federal Institute of Technology Lausanne (EPFL) is among the most productive and innovative research institutions worldwide. Ranked in the top three at European level and in the top 20 globally according to several scientific ranking lists, EPFL has drawn some of the best researchers in their fields. 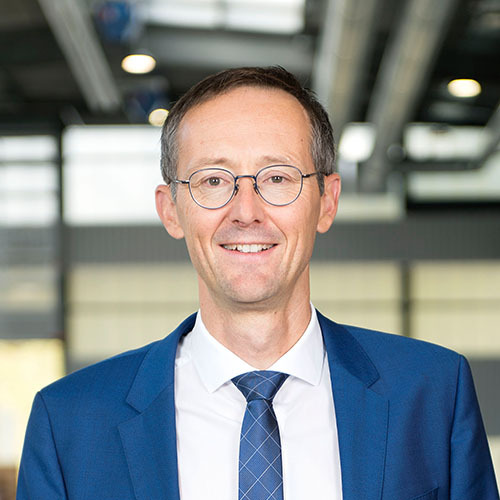 EPFL has a unique organizational structure designed to stimulate transdisciplinary research and encourage partnerships with other institutions. Located in the heart of a bilingual region, culturally rich and ideally situated, the School of Engineering and Architecture (HEIA‐FR) trains future engineers and architects holding a Bachelor’s or Master’s degree from Swiss universities of applied sciences. This state-of-the-art school offers university-level training based on professional practice. 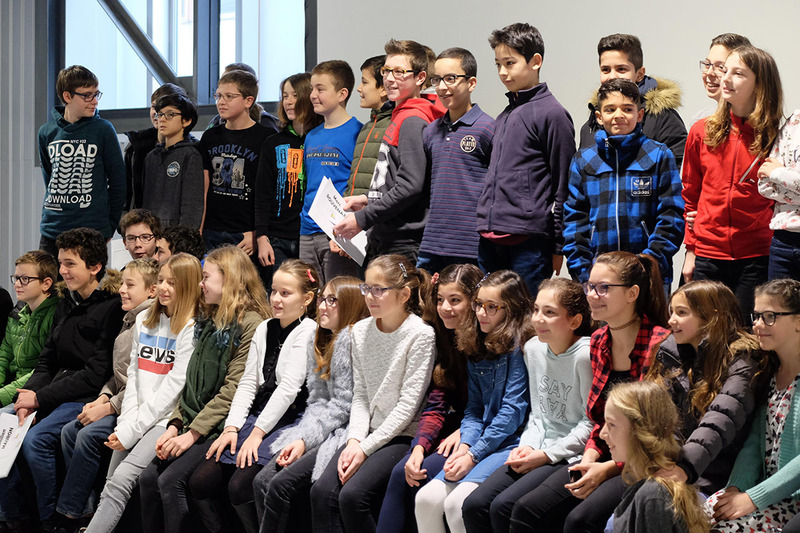 Recognized by the public and local businesses for its many applied research activities, the school contributes to innovation activity and allows the Canton of Fribourg to project itself on both a technological and scientific level. Founded in 1889, the University of Fribourg (UNIFR), is the only bilingual university in Switzerland and has a strong international tradition. It operates as a cutting-edge scientific and teaching center, with a strong human-centered approach that covers a wide range of disciplines in five different faculties. Nearly 10,000 Bachelor’s, Master’s, and PhD students benefit from its excellent infrastructure and its many educational opportunities. 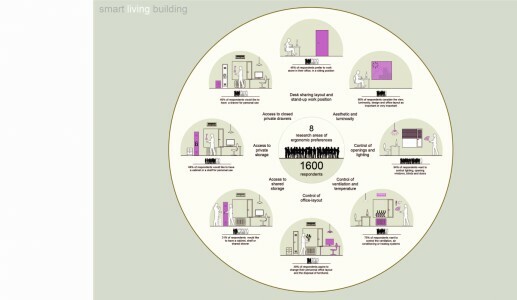 It is worth mentioning that the smart living lab project is the first of its kind in Switzerland. It brings together knowledge from several institutions in a single location at the heart of a city. The project offers a unique infrastructure for the rapid transfer of key skills to the construction industry. For the Canton of Fribourg, whose construction industry is a major pillar, the presence of a center of national and international outreach reinforces its economic fabric by offering multiple new competitive advantages.